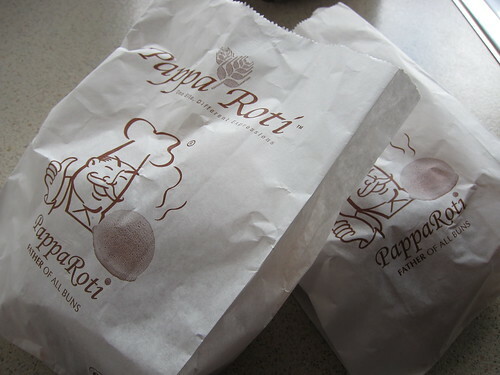 PappaRoti is a popular franchise/bakery in Malaysia. Probably not as popular as RotiBoy but still these Mexican buns are sold in many shopping centres in Malaysia and now we have a couple of stores down here in Melbourne. The first one I’ve seen to pop up was on Kingsway, Glen Waverley but there is also another one that recently opened on Elizabeth St (Across from Melbourne Central) in the Melbourne CBD. These buns have a sweet crunchy crust on top, and you can smell these buns baking in the ovens far away. The crust I believe has a coffee taste to it but it’s more delicate. It’s sweet, but that’s a good thing since it stops you from having too many! Inside they place some butter before they are cooked, so when it’s done. 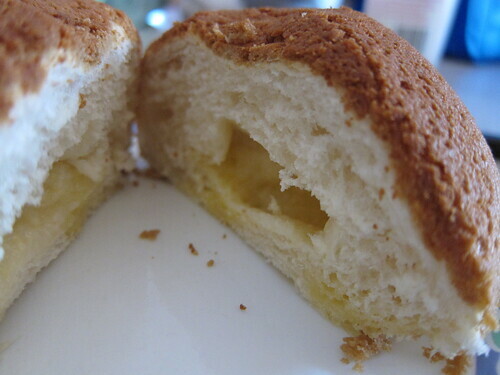 The inside is nice and soft, with a rich butter texture to it. It’s actually quite nice but you definitely can’t have too many. 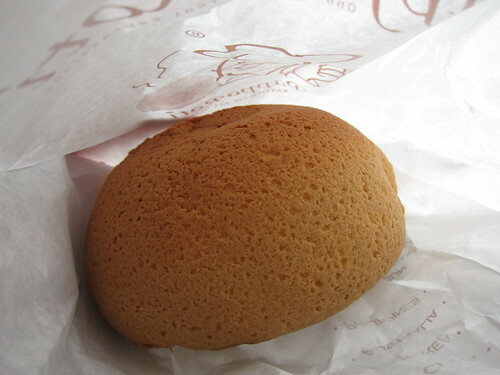 Compared to RotiBoy’s variety of buns, who sell these buns with butter, cream cheese and blueberry cream cheese, Papparoti only sells this one particular bun with butter. The store in Glen Waverley also sells coffee and ice cream but I haven’t taste tested them yet. I might try their ice cream once this winter finally passes. 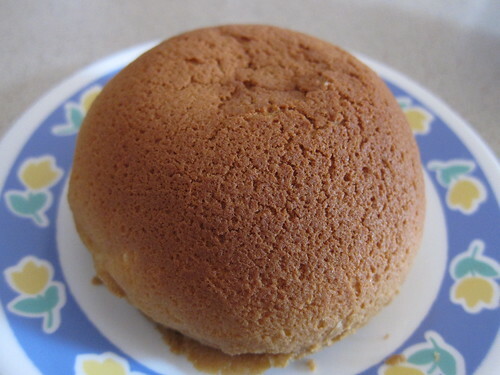 Not everyone will like these buns, and for me personally, I’ve had my fair share for the year, but definitely try it because you just might like it! Their ice-cream selection is actually quite decent. They have the usuals like Rum & Raisin, Strawberry Jam, but then they venture into the Asian favourites like Durian, Black Sesame, Lychee and Red Bean. I tried Lychee and Black Sesame on my first go, and whilst the Black Sesame was too sweet and lacked the nice bitterness of black sesame, the lychee was an instant favourite. 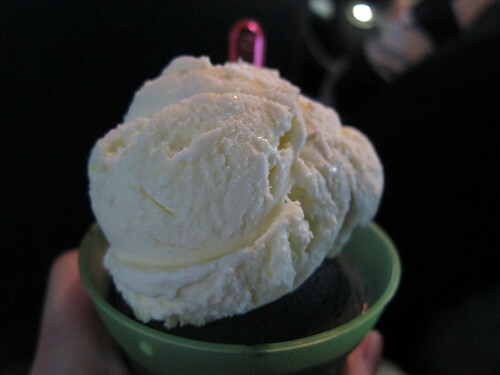 It had an authentic lychee flavour and was smooth and creamy. I haven’t seen many places that sell Lychee ice-cream, and one that tastes good too, so whenever I’m feeling like a cold treat (nearly always) this will be the first place I visit.